It's December in San Francisco, and Jamie Kutch and his wife, Kristen Green, sit down at a window table at Zuni Café, one of the city's finest restaurants. Kutch opens the wine list and finds his name. He's seen it there before, but he never grows tired of feeling the thrill. It isn't so much the name as what it represents. His Kutch Wines McDougall Ranch Pinot Noir 2009 is a tangible product. He sourced it from vineyards he tramped in himself. He crafted it with his hands, aged it in oak barrels he selected, then sold it to Zuni's wine director. Though the wine is slotted into the domestic section, alongside heavy hitters like Caymus, Williams Selyem and Joseph Phelps, it has more in common stylistically with the Domaine Dujac and Domaine de la Romanee-Conti Burgundies on offer just below. Those Pinot Noirs--French in origin, balletic in execution, soulful in spirit--are the kinds of wines Kutch had fallen for while working in finance at Merrill Lynch in the late 1990s. Those wines inspired him to leave New York for a life among the vineyards of Northern California. Seeing his own label among them is validation for a career shift from Wall Street trader to winemaker. "Zuni is a restaurant with a lot of character," Kutch says. "Best bread in the city, and when the roast chicken comes out, the smell will seduce you. The food screams out for a European-style wine, so it's pretty powerful to me to be able to have mine here, to know that it's on the list--and that in a few weeks, they'll call and ask for another case because their guests really love it." Now 38, Kutch arrived in California in 2005 with no experience as a vintner beyond fermenting rudimentary Cabernet Sauvignon and Merlot in his Manhattan apartment, and no knowledge of the business as anything other than a consumer. The general reaction to his arrival was dubiousness bordering on incredulity. "The guy had zero experience. He quit his job to make wine, so it was a huge gamble," says Ken Freeman, whose eponymous winery also makes Pinot Noir. A decade before, Freeman had followed roughly the same path from business to wine--except he'd kept his full-time position in finance and hired an oenologist. Doing it that way reduced the risk. "When you don't come from the wine industry, when you come out of New York because you like drinking wine and you want to make it, sure, there's skepticism," Freeman says. "But Jamie has done it. It worked out for him. I'll admit I was surprised." Selling at Zuni for $94 a bottle, Kutch's McDougall Ranch is not inexpensive. That's one measure of achievement for someone who'd spent his professional life focused on the bottom line, but it isn't the most important measure. After ordering a bottle, Kutch pours some wine in a glass. Then he ducks his head close for a smell. That he comes up smiling is worth more to him than any profit statement. "I believe that if I make the kind of wine I want to drink, my natural customer base will find me," he says. That's what has happened. In its seventh vintage, Kutch Wines is a profitable enterprise. 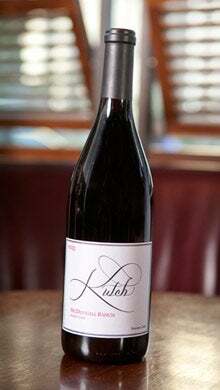 Kutch will sell some 12,000 bottles of his 2010 Pinot Noirs at an average retail price of $40. Most will go to mailing-list customers across the country, aficionados who appreciate nuanced California wines. 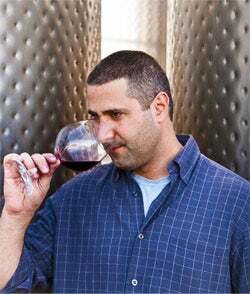 "To me, he's in the top five producers in America," pronounces Rajat Parr, the wine director for chef Michael Mina's Mina Group and a winemaker who produces restrained Pinots for his Sandhi label. Nevertheless, Kutch acknowledges that restaurant placement, and with it, a steady stream of new customers, is necessary for his business to grow. So when the chicken arrives at the table, Kutch offers a taste of the wine to the server, telling him, "That's my wine," and pointing to the elegant label of black calligraphy on white linen. "That's my last name. Try it. If you like it, maybe the next table you serve will end up getting a bottle." At one time, the best and brightest minds in America gravitated toward tangible goods--creating, perfecting and selling items consumers could experience or own. They made movies, cars, deodorant. These days, a disproportionate number of those minds work in finance. Trading--whether it involves stocks, bonds, currencies, pork bellies or derivatives--is a valid and (usually) legal way to make profits, but that's all it makes. There's no finished product, not even one as nebulous as a psychiatric session or a ballet performance. All it generates are numbers on a page. That was Kutch's world. He worked first at the independent trading wholesaler Herzog Heine Geduld; then, after Merrill Lynch acquired that firm in 2000, at Merrill itself, accumulating and liquidating equity positions. It was absorbing work, and it compensated him well. While still in his 20s, Kutch earned as much as $240,000 annually. Trading left little room for discussions of style. Either you made money or you didn't--and if you did, what mattered was, how much? It's not a mindset that lends itself to collegial thinking. "Someone will open a new fund, and his friends will hope that he fails," Kutch recalls. It's a highly competitive world, and profits and earnings are the currency of the competition. Perhaps that's what drew Kutch to wine. There's no finality to wine, no objective way to gauge it. People express opinions with points or stars as if to quantify its intrinsic value, but even when judgments are passed down from experts such as Robert M. Parker of The Wine Advocate, they're still only opinions that can be--and often are--ignored. And while a $1,000 wine usually tastes better than a $10 wine, it isn't always true. Eventually, anyone who enjoys wine will gravitate toward bottles that resonate personally. Kutch was introduced to wine by a vice dean while a student at Fordham University; then, while at Merrill, he roomed with a fan of Italian wines. Around the corner from his apartment in New York's Alphabet City was a liquor store with a formidable selection. He took to hanging out there after work, perusing labels and soaking up the culture. New York is overloaded with wine tastings sponsored by importers and distributors. In the late 1990s, Kutch became a habitué of those events, the guy in the corner with the short black hair--you might even mistake him for a young Adam Sandler--who was scribbling notes on everything he tasted. In another era, that would have been where it ended. But this was the start of the internet, and aficionados had found a way to congregate without leaving their basements. Chat boards, especially the one on Parker's website, enabled earnest, informed amateurs such as Kutch to post their thoughts on wines and have them read and considered by industry professionals. "In the back of my mind, I thought the Holy Grail would be in California, doing something involving wine. Even making it myself." Kutch became a fanatic. He'd attend a tasting, then spend hours writing notes, posting them on the board and responding to comments. Before long, he was a well-known member of a subculture. "He was one of those who led the conversation, one of the main content providers of that community," says Yaacov Barselah, a New York-based Burgundy enthusiast who works in the digital media business. At the same time, Kutch was growing disenchanted with Wall Street. His father, a boat repairman on Long Island's south shore, got tactile pleasure from working with his hands. Green, his girlfriend and future wife, had a career in PR at HarperCollins and then Penguin Putnam, spreading the word about young novelists or fascinating historical studies. Kutch had none of that. He began to wonder if there might be something else--if he could, in the words of Robert Frost, turn an avocation into a vocation. "I'd read about the growth of wine consumption in the U.S., the population increasing, the health benefits," he says. "That convinced me wine could be more than a hobby, that it might be a great industry to get involved in. In the back of my mind, I thought the Holy Grail would be in California, doing something involving wine. Even making it myself." So he called importers to discuss the business. He visited a distributor for an informational interview. All along, he was spending nearly as much time posting and debating on the Parker chat board as he was trading stocks. Through the chat board, he learned about Kosta Browne wines. Trained as an architect in Santa Rosa, Michael Browne had worked as a sommelier and sold wine, but what he'd really wanted to do was make it. He had no formal training, so he started hanging around cellars doing odd jobs and eventually started his label with a friend. When Kutch called asking for advice, Browne says, "I heard myself in his voice." Browne told him to just move out to California. What was the worst that could happen? "You lose your job, you lose your girlfriend, you'll lose all your money," Browne told him. "But you'll have had a great experience. You're young. What's the risk?" That made sense to Kutch, who'd made a career out of assessing risk and reward. And when Browne volunteered that he had a ton or two of extra grapes he could sell and some barrels Kutch could use, Kutch's vision of making his own wine seemed tantalizingly close to reality. "I loved wine. I was incredibly passionate about it," Kutch says. "Kristen was onboard, and her PR career was a secret weapon, a way to access the media. We had $100,000 in the bank, enough money to try it for a couple of years. I felt good about my chances." Before leaving New York, he detailed his plans on the Parker chat board. The members of that community realized Kutch didn't know the first thing about winemaking, but they were impressed by the attention to detail he'd shown in his tasting notes and the devotion to wine that was leading him to leave Merrill Lynch. It was like seeing one of the kids you'd played with in Little League land on a major-league roster. One by one, chat-board members committed to buying some of Kutch's first vintage. By the time he set out for San Francisco in the summer of 2005, he had 400 customers. He didn't have a licensed winery; he didn't know how to vinify. But he had a customer base. "It was a start," he says. A few days after his dinner at Zuni Café, Kutch heads for the Golden Gate Bridge, on his way to lunch with the owner of a vineyard, then to see another on the Sonoma coast. "Look at this," he says, as he passes the Presidio and heads out over the water. "Not a bad place to be." Six or seven hours of driving in a day is routine for Kutch. He needs to constantly check the status of grapes he is using from around the region and to visit the facility in Kenwood in Sonoma County where he rents space to produce his wines. It's not uncommon for him to leave his small house in San Francisco's Castro district in the early morning and return well after dark. Kutch left for California on Memorial Day, 2005. He worked the harvest that year for Kosta Browne, soaking up everything he could about the winemaking process. Browne agreed to let Kutch buy six barrels of the still-aging wine. That became the first vintage of Kutch: 150 12-bottle cases. Before he could sell it, though, he needed to create a legal winery. "Learning the winemaking was 1 percent of that first year," Kutch says. "I had no idea of the work that went into getting licenses and corks, getting the logo approved, dealing with the alcohol bureau. Who do I call? Do I get a lawyer? With that side of things, we didn't get any help. Kristen and I did it all." Good red wine needs to be aged for a year or more before bottling, so a fledgling producer must vinify his second vintage before the first is ready to be sold. For that, Kutch needed more grapes. So he spent much of his first year in California visiting vineyard owners, knocking on doors like a salesman--except he was looking to buy, not sell. The grapes couldn't come from just anywhere. Kutch makes Pinot Noir, which reflects the conditions in which it grows more than any other grape variety. The Sonoma Coast and Anderson Valley, the most prominent California sources for the cool-climate Pinot Noir he was seeking, are isolated areas. Much of the vineyard land there has been family-owned for decades. And many owners were skeptical of someone who'd made his name critiquing bottles on the internet. "That chat-board thing rubbed a few of the old-timers the wrong way," vintner Freeman says. In a typical visit, Kutch stopped in to see Rich Savoy, who owned 29 acres of prime Pinot Noir northwest of the tiny town of Philo. When Kutch askedto buy fruit, Savoy declined. Not only was his entire output spoken for, Savoy told him, but he had his reputation to consider. "It had to be done in the right style," Savoy says now. "We'd turned down and even kicked out all kinds of people who we felt weren't making appropriate wine from our grapes.After all, our name is on it, too." Somehow, Kutch managed to scrounge up enough quality fruit to produce a second vintage, the 2006. Meanwhile, Green had started a PR business in San Francisco. That helped pay the monthly bills while the 2005 Kutch Pinots slumbered in barrels. When those 150 cases were finally bottled and released in the spring of 2007, they were sold to the mailing-list clients and a few restaurants. That helped buy barrels and grapes for the third vintage, the 2007. At the time, Kutch and Green were living in an 800-square-foot apartment. Kutch's $100,000 in the bank had dwindled to $10,000. "Nervous nights," he says. Fortunately, the wine was good. Kutch made 400 cases of the 2006 vintage and 600 cases of the 2007; 2008 was difficult, because fires in Sonoma tainted many of the grapes. By then, though, Kutch's wines had started to earn a reputation among people who cared about Pinot Noir--consumers and, more important, tastemakers such as sommeliers, retailers and journalists. Upon its release in 2009, the '07 Kutch Kanzler Pinot Noir was put on the wine list at the French Laundry in Yountville, Calif., perhaps America's finest restaurant. Growers who hadn't sold to Kutch at first took a second look. "It turned out that what he was trying to do fit what I was trying to do," Savoy says. "His style was appropriate to the weather where the vineyard was." Kutch's average price was high enough that he was netting some $30 a bottle, or $360 a case. All of it was going back into the business. "We kept things really, really lean," Green says. That paid off with the 2009 vintage, which came on the market in early 2011. Kutch produced 1,000 cases, his largest output to date, and the wine received better scores and reviews than ever before. "He knew just the kind of wine he wanted to make, and by the 2009s he'd figured out how to get there," says Mina Group's Parr. "I've tasted the 2010s, and I was there when he made the 2011s. So I can tell you that the wines are just going to get better." Late last year, Kutch finished vinifying the 2011s. He made 2,000 cases, double the output of his previous vintage. Kutch funded much of the winery's growth by buying up cases of valuable imported wines and selling them at a substantial profit in Asia, an arbitrage opportunity the retired trader couldn't pass up. But beyond that, Kutch Wines is finally turning a profit. His 1,000 cases of 2009s netted him some $360,000. "It gets to be good money," he says. He has had offers to sell part of his business and gain an infusion of capital but has declined. "It's more rewarding to do it this way," he says. And, really, what would someone be buying? Seven years on, Kutch owns no vineyards or winemaking facilities--only the intangible equities of a customer base and a reputation. Still, the model is there. 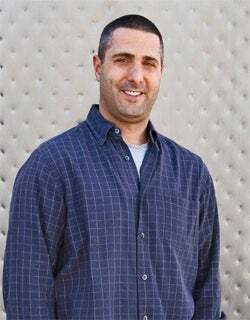 In 2009, during an economic downturn, Michael Browne and Dan Kosta sold a controlling interest in Kosta Browne--whichalso owned no real estate--for close to $40 million. If Kutch can solidify his grape sourcing with a long-term lease on a vineyard, he might eventually create an equally valuable brand. Kutch doesn't need to be told that the first requirement of a business is that it make money. But after starting out in a career in which he did nothing else, he has found his life's work in one for which that notion is only a starting point. "People don't come out here and say, ‘This is going to make me rich. I'll have a house in the Bahamas and a Ferrari,'" he says. "If it happens, it happens. But I knew from the beginning that that's not what this is about. If that's what I wanted, I would have stayed where I was."